When it comes to Dressage Riders, well all riders it’s important to have quick reaction times, not just for clarity in our aids, but also safety at times of need. In order to have the optimal balance and reaction time it’s a combination of both slow twitch muscle fibres and fast twitch. We all have these naturally, it’s just sometimes one is more dominant than the other in individuals. So to improve as a rider, you then want to develop training that helps optimize the right balance of these two and is correct for our unique sport. You see riders require quick reactions, because it’s not about being stronger than our horses, because you can’t win against 600kg of strength, but instead it’s about reading them and reacting quickly, being smarter and quicker so that you can be ahead of them which results in lighter clearer aids. 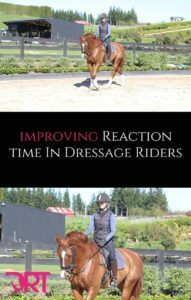 By riding plenty of horses and getting lots of time in the saddle you will develop this and it’s these reaction times that professional riders have developed with all the hours that they have put in. The great news is though you can also train these out of the saddle because not all of us can ride many horses a day to help improve this skill. Now these reaction times and ability to move quickly and independently are created from a strong central unit. When you look at top riders they are still and balanced, the muscles creating this central strength are predominantly slow twitch. They create the base to allow you to remain stable, then it’s the quick subtle fast aids we don’t see that are the fast twitch. As a rider you want to be on your game and the quicker you can react to something the sooner we can fix it. Be it through a leg aid, movement of our seat or a touch on the reins. 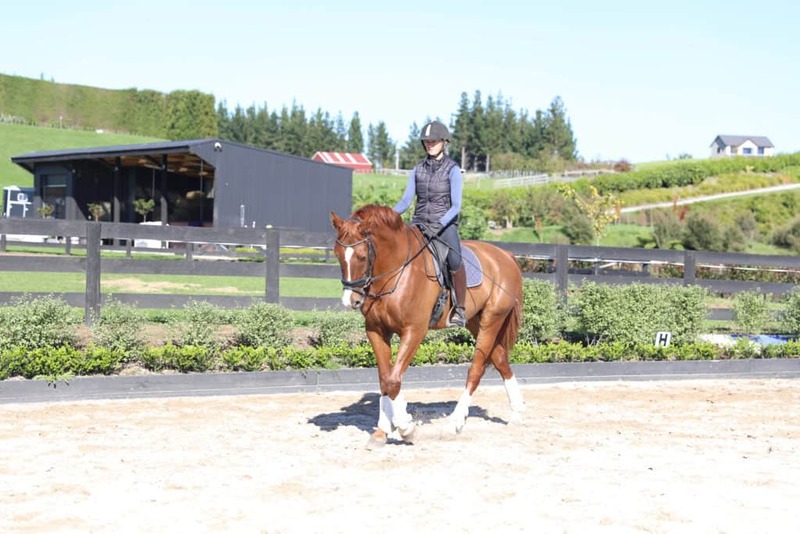 Our legs and our body provide guidance to the horse as to movements we are asking, so when we feel the horse begin to lean more on one side compared to the other, our reaction time to this can prevent it turning into a bigger issue. The quicker we can react to things the lighter our aids can be in the future. Fast reactions allow you to whisper to your horse the aids. These reaction times are also incredibly vital for when your horse spooks or is on edge. By your muscles reacting quickly you can stabilize yourself before you are left behind, or on the floor! When we are schooling our horses riders are constantly making adjustments to guide the horse into balance. This is a constant conversation we have through body language. When we get dull and slow in our reactions the conversations get grey, the horse then can become slow and unreactive, deadening your aids and requiring a much louder conservation to communicate. By spending time training your horse and getting to know one another your conversations become clearer, more black and white and your reaction to the horse’s poor posture or instability can be much clearer. The stronger our aids need to be the slower our response tends to get. This is why it is a valuable area for us to train whether or not we just ride on the weekends or are a professional rider. When we are sharp, alert and truly present on our rides, we bring our A GAME, this doesn’t just come through physical training either. A good night sleep, nutrition, and mindset all play a valuable role in helping you communicate clearly. Just as riders have a combination of fast and slow twitch, so do horses. Some will react quickly to your leg aid while others are delayed. There is nothing wrong with either. Just as there is nothing wrong with the fact that I prefer long walks and can do many things easily that are slow and steady (predominantly slow twitch, runs in the family!) while my husband is a speed demon and struggles with slow and steady. We each have our strengths and so to get faster and fitter I need to train my fast twitch, the area I reluctantly want to, while my husband his slow twitch. Fast and slow twitch are the different types of muscle fibers in the body, these are classified based on how they produce energy. 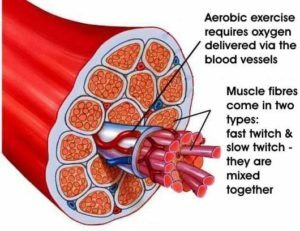 These different muscle fibers can be trained using specific exercises designed to focus on how they create energy or generate force. Slow-twitch muscle fibers are considered aerobic. Slow-twitch fibers contain more blood-carrying myoglobin, which creates a darker appearance. Slow-twitch fibers can sustain force for an extended period of time, but they are not able to generate a significant amount of force. Slow-twitch fibers have a low activation threshold, meaning they are the first recruited when a muscle contracts. As you can see slow twitch muscles fibers are predominantly used for an activity of low intensity and low speed. They are what help us maintain our neutral spine, correct posture and balance within the saddle over the period of a ride and during the day. 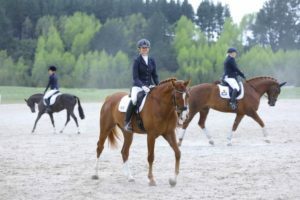 When these are lacking in stamina it is often our posture which fatigues in the saddle, where we get sore lower backs and overuse injuries due to poor alignment. Exercises that feature isometric contractions and work on stability over a longer period of time. Examples include simply standing more in your day and avoiding too much sitting, as well as doing exercises such as planks, isometric squats and stability exercises. Circuit training, which involves alternating from one exercise to the next with little-to-no rest. Body-weight exercises at higher repetitions challenge aerobic metabolism, which helps improve the efficiency of slow-twitch fibers. Fast-twitch fibers have a high threshold and will be recruited or activated when the force demands are greater than the slow-twitch fibers can meet. Fast-twitch fibers take a shorter time to reach peak force and can generate higher amounts of force than slow-twitch fibers. Fast-twitch fibers can generate more force but are quicker to fatigue when compared to slow-twitch fibers. Strength, speed and power training can increase the number of fast-twitch muscle fibers recruited for a specific movement. Resistance training with resistance stimulates muscle motor units to activate more muscle fibers. The heavier the weight, the greater the number of fast-twitch fibers will be recruited. Performing explosive, power-based movements, whether it is with a barbell, kettlebell, medicine ball or simply your own body weight through sprinting, will recruit greater levels of fast-twitch fibers. Fast-twitch fibers fatigue quickly, so focus limited number of repetitions (e.g., two to six) for maximum effectiveness. Fast-twitch fibers require longer rest periods to allow motor units to recover and to replace spent ATP. 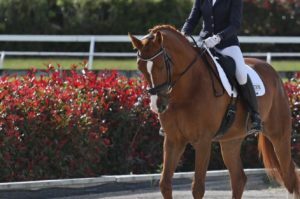 As dressage riders, we need to understand that we require a unique combination of both and where to begin our training first. Genetics determines how much of each muscle-fiber type you possess and if you find that you tend to enjoy more endurance-based activities and that they are relatively easy for you, you probably have a greater number of slow-twitch fibers. Or if you someone who really enjoys short bursts of explosive movements, or if you like weight training because it is relatively easy, you are probably fast-twitch fiber dominant. Often the area we need to work on the most is the area in which we find the most difficult. So for me I am the tortiose, slow and steady. However if I’m not careful this can lead to dull grey aids, but on the positive, my fitness, stamina and core strength riding are all slow twitch. I just need to keep improving my reaction time. I hope you found this useful. 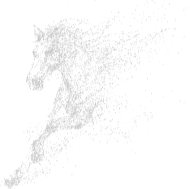 Within our Dressage Rider Training program, I take into consideration all of this and the program is systematically designed to help you develop the right balance of these. We build a foundational layer of stamina and strength with reaction time and stability created upon this to improve your reaction time. Both of this combined to help you create stability and confidence in the saddle and communicate clearly to your horse.